After a summer trio, I put together another trio of Sweetscents testers. 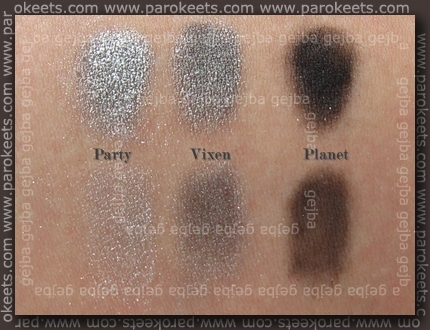 This time I choose three silver/gray shades that can be used for evening make up. 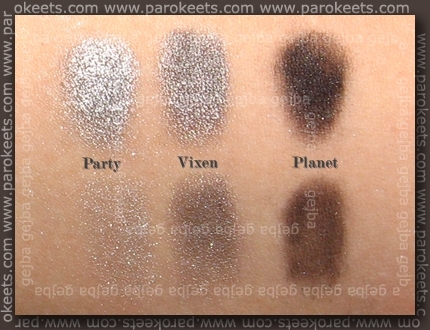 Lightest shade is called Party. 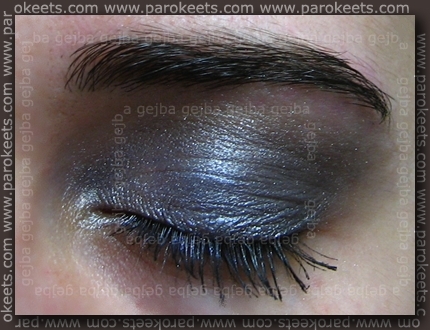 This is light silver colored eye shadow with lots of multi colored shimmer. It’s quite shimmery, but still wearable … maybe not as day shade but it rocks as night one. 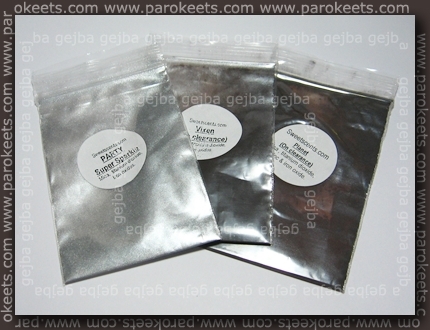 Vixen is darker silver-gray color than Party but has same kind of shimmer – just less of it. Like LODO, it can change color based on its sorrounding. Planet is the darkest of the bunch. It looks brown in the photos while in reality is more gray-brown. I use it mostly as crease color or liner. Its not as easy spreadable as previous two, but it does have more sticking power. It has very little of shimmer. 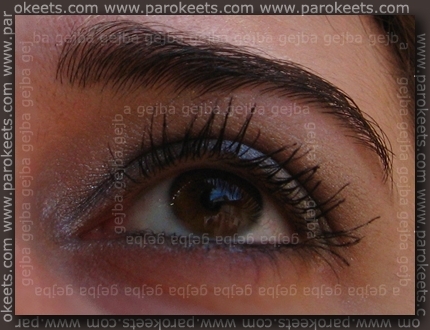 Top line is applied over Coastal Scents Eye Poxy and bottom one with no base. While washing my brush collection I decided to whole eye make up with one brush. I coose Stargazer Concealer brush and went to work. 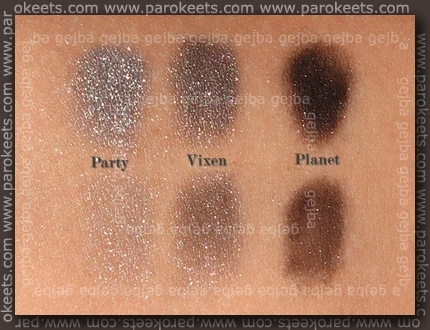 I used Party in inner third of the eyelid and Vixen over remaining two thirds. 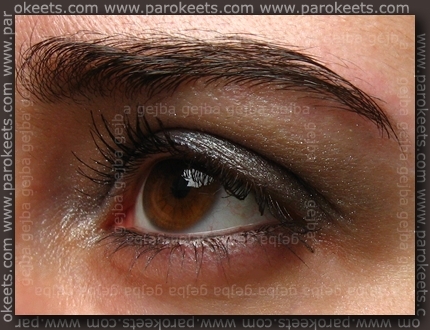 In outer corner, crease and liner I used Planet. Highlighter is Transparent White and to spice thighs up I used Plum Shimmer in the middle of the lid – it’s not really seen but gives blue reflection to the whole make up in certain angel. On waterline I applied Revlon Colorstay liner. 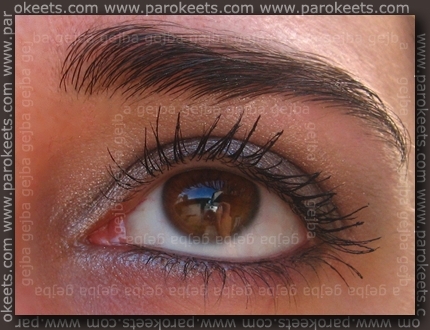 Mascara is black L’Oreal Voluminous Original with little bit of Essence Volume Up mascara on the tips. Base for the whole make up is Revlon Eye Glide no. 01. I managed to capture bluish reflection in two photos. How dou you like my onebrush make up? I love pigments. There are so many beautiful colors to play with. Love this eye makeup. Looks very pretty on you. 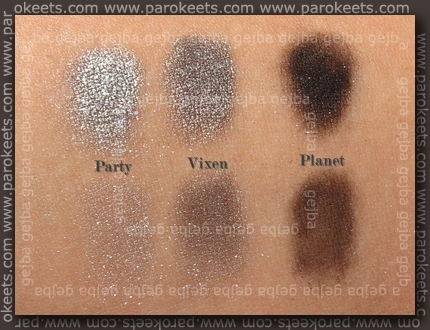 I LOVE the one brush look you created with Party, Planet & Vixen. I personally like the one that reflects the bluish silver look. Great combination! The total look is so professional! :) Ja, fotoaparati požrejo malo barve.